This is robin, host and producer for KRBN Internet news talk radio – Jay is off on assignment this week and will be back at his normal time 4 PM Wednesdays. 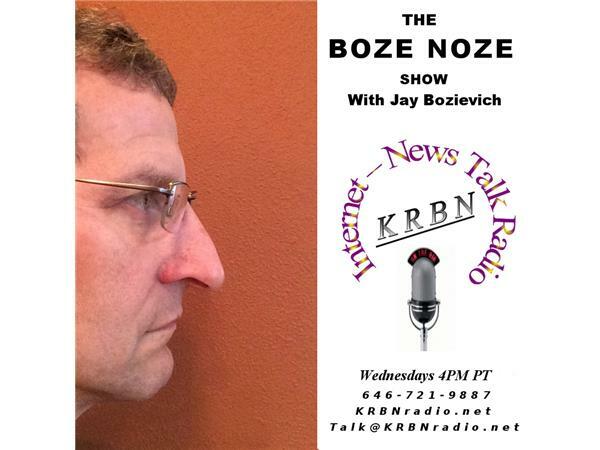 In the meantime, I would like to invite you to enjoy some of our over 300 previous shows here on KRBN ranging from trucker talk, Oregon update and of course the The Boze Noze Show with your host Lane County Commissioner Jay Bozievich. As always, we invite you to send your questions and comments any time to talk@KRBNradio.net, on our twitter page and on Facebook and of course you can listen to the live programs at KRBNradio.net or by calling 646-721-9887 and if you would like to speak to Jay and his guests, simply press one and that will place you into the queue. Jay and I both would love to hear from you and to remind you that this is a noncommercial station and it cost us time and money to bring you these programs. In return, we are asking for your support by simply liking us on Facebook.